Tom has been a real estate professional since 1999. In 2010, he co-founded Elmdale Partners, an investment company focused on value-add real estate assets and opportunistic real estate service company platforms. Elmdale currently purchases, develops and oversees both commercial and residential assets in the Chicagoland area through one of the 4 funds it manages. As CEO of Elmdale, Tom led a roll up strategy of residential brokerage firms centered around the Century 21 brand and acquired over 70 different offices and companies to create the largest Century 21 franchise in the world with over 2,700 sales associates in 5 states. Elmdale’s holdings also include one of the largest title insurance companies in the Midwest, a residential mortgage company and Elmdale started the first real estate based technology accelerator in the country – Elmspring- which invests in start-up technology companies specializing in real estate disruption. Elmdale has garnered several prestigious awards over its six-year history: Top 30 Residential Real Estate Firms in the US, Chicago Real Estate Housing Innovation Award and Chicago’s Best and Brightest Companies to Work For Award. 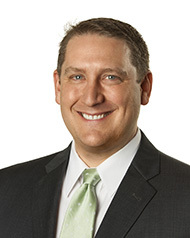 Tom received a JD and an MS in Real Estate from the University of Wisconsin in 2003 and 2004 respectively and lives and works in the Chicagoland area with his wife Jennifer and their two children.